Enhanced with no fewer than 28 skin-nourishing ingredients, this silky, lightweight oil blend glides on seamlessly, priming and hydrating skin perfectly. Softening the appearance of fine lines and wrinkles, the formula extends the durability of your foundation and repels water to keep all your make up looking fresh. With a beautiful blend of softening natural oils and revitalising vitamins, this ultra-luxurious formulation is exactly what your beauty regime is missing. 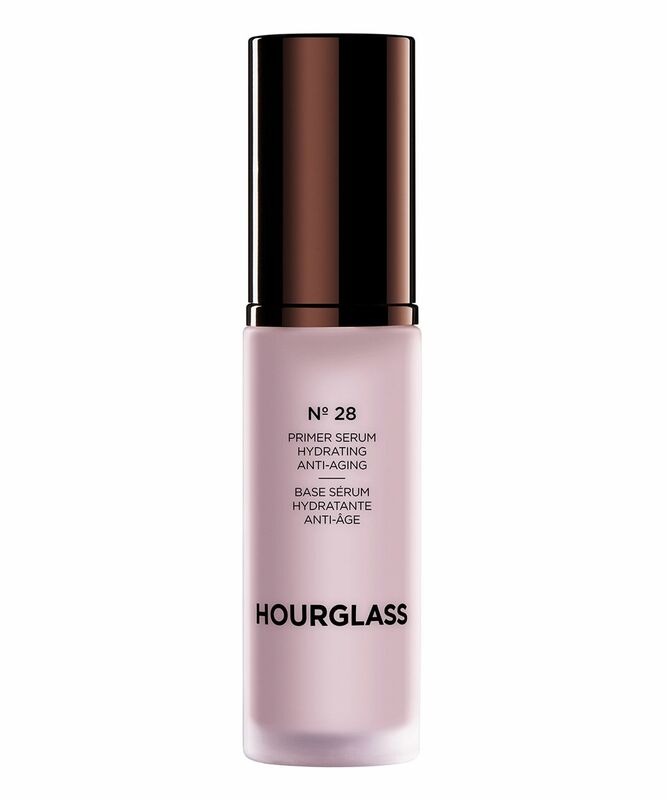 A primer and serum in one, Hourglass’ Nº 28 Primer Serum is infused with 28 beneficial ingredients to nourish skin and prepare it perfectly for make up application. Silky and lightweight, the oil glides on beautifully, absorbing into the skin to create a refined, retexturised surface for make up, softening the appearance of fine lines and wrinkles while extending the durability of your foundation. The ‘28’ of the title refers to 14 essential oils (including rose, lavender and lemon), 10 lipid-rich plant oils to hydrate skin’s deeper layers (including hazelnut and rose hip) and four nourishing vitamins to condition the complexion (A, B5, C and E). Wonderfully versatile, the vegan formula can also be used as a night serum or on hair to seal split ends. 1. Apply one pump to clean skin and let it set for approximately 2 minutes. 2. Can be applied over moisturizer, used as a moisturizer/primer or night time skin treatment. 3. Also apply No.28 to hydrate split ends and fly-aways. It makes skin smooth and silky, but not too oily so the foundation glides on easily and stays on. Also it has a great lavender smell too it. Perfect for dry skin people who still want to use a full coverage foundation. It makes the skin smooth and reduces the appearance of my pores. Thin texture, it leaves a veil of immediate hydration and a silky aspect. The makeup remains really spectacular.